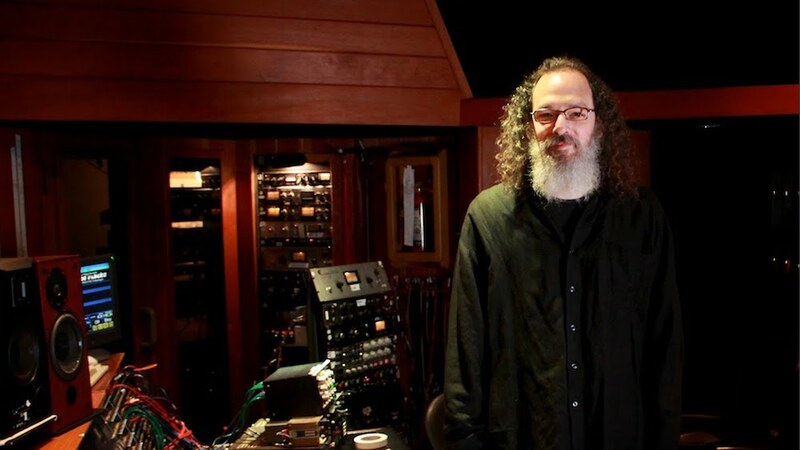 Andrew Scheps has been blessed to engineer and mix some of the biggest rock bands in the world: Green Day, Red Hot Chili Peppers, Weezer, Audioslave, Black Sabbath, Metallica, Linkin Park, Hozier, Kaleo, and U2 are but a few his incredible credits. He’s even worked with legendary artists like Johnny Cash, Neil Diamond, and Iggy Pop, and major country artists like Zac Brown Band, Natalie Maines, Chase Rice, and Ruston Kelly. In addition, he works closely with indie artists like My Brightest Diamond, Motorsphycho, Rancid, Manu Chao, Tinariwen, Farao, CRX, Cass McCombs, and Blood Red Shoes. Andrew is a 3x GRAMMY winner for his work with Adele, Red Hot Chili Peppers, and Ziggy Marley. Additionally, his mixes have received more than 20 GRAMMY nominations in various categories, such as Best Rock Song, Best Rock Album, and Best Hard Rock Performance. Andrew was named International Engineer of the Year Award by the UK’s Music Producers Guild, where he is currently based. Andrew Scheps started as a musician. A Long Island native, Andrew got his start in music playing jazz trumpet. After some time he realized what he enjoyed most was working behind the scenes, helping artists perform their best. He got a touring gig as a keyboard tech for Stevie Wonder and eventually did live sound for Michael Jackson! Andrew’s home is in the studio, though, and he sharpened his skills working for major producers like Rob Cavallo, Don Was, and Rick Rubin. Andrew isn’t just an amazing engineer and mixer, however. He’s also been a producer for Favez, Gogol Bordello, The Duke Spirit, Low Roar, and others. Andrew also started and ran Tonequake Records. Tonequake is a boutique indie label with acts he produced including Low Roar and Favez, and others like Act Rights, Heidi Happy, Twenty Two Hundred, and more. After some 25 years working in Los Angeles, Andrew relocated to the UK in July 2015 where he set up his own mix room, Punkerpad UK. He also partnered with Monnow Valley Studios—a very famous residential recording studio. There, he put his Neve 8068 MKII and extensive collection of outboard gear, microphones, and instruments into one of the best sounding rooms in the UK, even if he’s drastically scaled back his workflow over the past several years. As of 2015, Andrew has worked entirely in-the-box. Andrew is famed for his modern, balanced, loud mixes, and remarkably, transitioning away from analogue mixing hasn’t changed his sound at all. His ITB workflow led to developing plugins with Waves. Andrew has a few plugins with Waves, including the Omni Channel, the Scheps 73, and the Parallel Particles. The Scheps 73 is based on the Neve 1073 console preamp and EQ: “The Scheps 73 EQ features interrelated bands that adhere to the 1073’s original specs and precisely emulate its behavior: a fixed 12kHz high-frequency band, switchable low and midrange bands with cut and boost controls, and an 18dB/octave high-pass filter. His Parallel Particles plugin is a tone-shaper with intuitive controls relating to Andrew’s go-to mix processes, including parameters for sub, air, bite, and thickness. Andrew has said of the plugin, “[Parallel Particles] is about attitude, energy and emotion. You can find the sound you want, without having to figure out which of the traditional tools will get you there. It is as much an attitude shaper as a tone shaper, so you can focus on how you want your tracks to feel.” With one knob for each of the four areas, you can dial in and out any combination which suits your mix! Amongst his phenomenal credits, the Chili Peppers stand out. Andrew mixed 7 tracks on Adele’s 21, for which he won a GRAMMY. Andrew Scheps has enjoyed an amazing career and continues to lead the industry with his incredible ITB mixes!